There’s no better opportunity to celebrate the 30th Anniversary of Ellamp Group than Bus World Europe (Kortrijk) 2017. At our booth in the main area of the exhibition, The Rambla, we will gladly present the latest innovations that reconfirm Ellamp’s position as the leading bus interior pioneer in the industry – a position we’ve held for the last 30 years. Our new Multiset lines combine the attractive style of our top designer, Alberto Rigoni, and the latest technologies to offer high-quality performance consoles with modern lines. An innovative lighting system, the ILC (Intelligent Lighting Control), will allow bus operators to actively change the set-up of the ambient lighting according to the environmental conditions. The air curtain, which has been specifically designed for the citybus, increases passenger comfort by means of a dynamic air flow installed over the doors. Low electrical consumption with optimized efficiency offers the perfect solution for citybusses during severe weather conditions. Busworld is about to start in Beijing, with Ellamp right up front. After Istanbul, Ellamp moves to Beijing for Busworld China, the most important trade event in the great Asian country for the bus and coach industry. As in Istanbul, Ellamp is playing on its home field in Beijing. In fact, China is one of the five countries in the world to host an Ellamp production facility, together with Italy, Turkey, Spain and Mexico. Ellamp is able to offer to its customers – manufacturers, coachwork shops, and custom vehicle builders – customized, flexible and comprehensive solutions for equipping buses of all sizes, starting from the initial design study through the delivery of finished products. From May 23 to May 25, Ellamp will present its complete range of products and solutions for bus, minibus and coach interiors – including internal systems, modular systems and individual components – at Stand 3505 in the New China International Exhibition Center, Beijing. 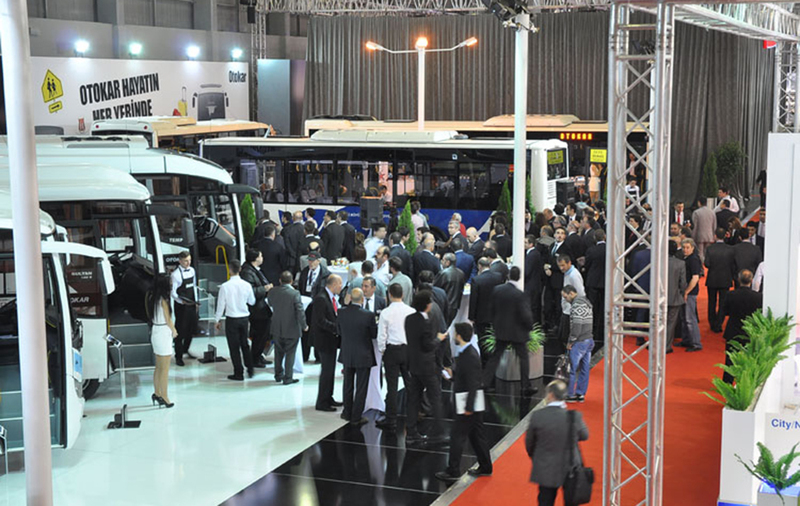 On April 14th in Istanbul, the doors will open at Busworld Turkey, the most important appointment for the bus industry within the Turkish and EMA markets. At Busworld Istanbul, Ellamp will play on its home playing field: Turkey is one of the five countries in the World that host an Ellamp production plant, together with Italy, Spain, Mexico and China. Starting from the initial design study until the delivery of the finished product, Ellamp is able to offer to its customers – manufacturers, coachwork shops, and custom vehicle builders – customized, flexible and comprehensive solutions for equipping buses of all sizes. Come see our internal systems, modular systems and individual components at booth D 16 – Hall 11 in the Expo Center in Istanbul, where Ellamp will present its complete range of products and solutions for bus, minibus and coach interiors.